What are the Hard to Miss Benefits of Unsecured Loans? Loans that are granted based on the borrower’s creditworthiness alone and are not supported by any types of collateral is called unsecured loans. Since unsecured loans are granted without collateral, a high credit rating is often required to qualify and get approval. Also called personal loans or signature loans, unsecured loans often come with a higher interest rate compared to other types. However, unlike mortgage loans, the interest paid on the loan is not tax deductible. Unsecured loans may come with a fixed interest rate and should be paid at the end of an agreed term or it can exist as a revolving credit line with a variable interest rate. You don’t have to provide any collateral. In other words, you can be eligible even if you do not own a vehicle, home, or other assets that can be considered as collateral for your loan. Manageable payment schemes. Most payment arrangements for unsecured loans are flexible (usually, weekly or bi-weekly payments) so it is a lot easier for you to make the payments. Fast processing. Oftentimes, processing can take minutes to a just a few days. That means you won’t have to wait too long to know if your loan application has been approved. In payday loans, you can borrow enough money to cover for your expenses until your next paycheck arrives. While payday loans often come with high interest rates and transaction fees, many borrowers find payday loans very convenient. Credit cards are classified as an unsecured loan since you will be allowed to “borrow” money from the credit card company with the assumption that you will be paying them back at a later date. Loans that are secured using only your signature are aptly called signature loans. Often awarded in installments, this type of loan is often provided by credit unions and banks. The loan is usually repaid in set monthly payments. Since signature loans often have lower interest rates compared to other unsecured options, they are considered the ideal loan option for first-time borrowers. Cash advances can come in two forms—advances based on your credit limit and the other one is based on your income. Just like most unsecured loans, cash advances require quicker turnaround time for repayment (typically on the next credit card billing cycle or on your next payday) and comes with higher interest rates compared to others. 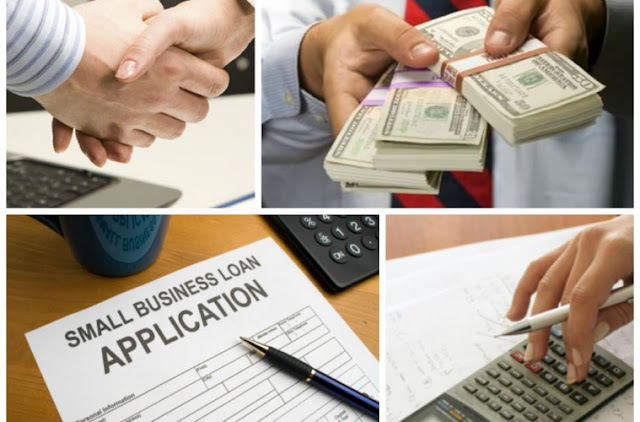 Loan companies and financial institutions often offer unsecured loans to small businesses. However, approval rate is higher for those who have proven business experience and good credit score. Repayment terms can be flexible and will depend on the terms set by the lender. Often provided by financial institutions, term loans involve a specific amount agreed upon by both the lender and the borrower. This type also comes with a specific repayment schedule (bimonthly, monthly, or biweekly installments). Term loans also come with a floating interest rate. While similar in some ways to general business loans, this type makes an individual responsible for the payment rather than the business. In other words, even if the business is the official borrower, should anything happen that will make it impossible for the business to repay, the individual who guaranteed the loan will have to pay the obligation.